New Zealand will begin their three-match one-day international series against Bangladesh on Wednesday, 13 February, knowing it's their last bilateral outing in the format before the ICC Men's Cricket World Cup 2019. New Zealand tour will be the ideal preparation ahead of #CWC19 for Bangladesh, says @mushfiqur15. New Zealand conceded the ODIs to India 4-1, but made a thumping comeback in the subsequent T20Is, winning the series 2-1. Kane Williamson, leading from the front, has turned the side into a well-oiled machine, one that's especially formidable in home conditions. He himself has been in decent form since the turn of the year too, notching three fifties in eight ODIs. For Williamson's class, their batting will be led by the veteran, Ross Taylor. He's accumulated 458 runs in just eight innings, and is the highest run-scorer in ODIs so far this year. He already has a century to go with three half-centuries, and averages 65. Bangladesh have a fine attack, but they'll be particularly wary of these two. Martin Guptill set to return from injury as New Zealand announce 14-man squad for upcoming #NZvBAN ODI series. 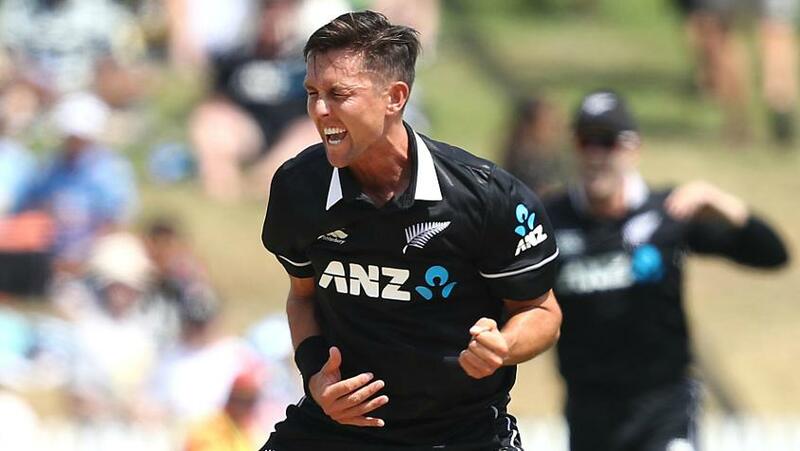 With the ball, Trent Boult is New Zealand's standout star. He has 15 wickets in seven innings this year, and proved quite troublesome for India, especially in Hamilton where he returned career-best figures of 5/21 to help dismantle the visitors for 92. The likes of Jimmy Neesham, Colin de Grandhomme, Lockie Ferguson and Mitchell Santner provide all-round skills as well, and the management will keep a close eye on each of them as they finalise their squad for the World Cup. Bangladesh, meanwhile, have work to do, having conceded the ODI and T20I series in the Caribbean in December. This will be their first international venture of the new year, and they will want to start it on a positive note. However, they will miss the experienced Shakib Al Hasan, who was ruled out of the ODI series after fracturing a finger. They will, therefore, rely heavily on the other seniors in the ranks – Mushfiqur Rahim, Mahmudullah, captain Mashrafe Mortaza, and Tamim Iqbal, who hammered 141* in the Bangladesh Premier League final last week. Mustafizur Rahman and Rubel Hossain, who claimed 34 scalps between them in the BPL, will spearhead the pace attack, and there's enough in this side to cause New Zealand some worry ahead of the premier ODI event later this year. "It will give us an indication of where we are in world cricket" – Steve Rhodes is hopeful, yet realistic, ahead of Bangladesh's tour of New Zealand. Ross Taylor (New Zealand): Taylor averages 92.80 in ODIs over the last 12 months, and hammered his highest-ever individual score – an unbeaten 181 against England at Dunedin. He hasn't showed signs of slowing down this year, and he will be crucial for New Zealand in the upcoming series, as well as in the World Cup. Tamim Iqbal (Bangladesh): Iqbal, at No.14, is Bangladesh's top-placed cricketer in the MRF Tyres ICC ODI Rankings for Batting. He has amassed 407 runs in his last nine innings across formats, including three 50-plus scores. He will be paramount in Bangladesh securing a strong start in the series opener in Napier. The forecast predicts ideal conditions for cricket on Wednesday – clear skies and no threat of rain. The last time New Zealand played an ODI at this venue, the India spinners – Yuzvendra Chahal and Kuldeep Yadav – reigned supreme with six wickets between them.